Now, in case you haven't noticed, I don't post a lot of crafty-goodness on my blog. Why, you ask? Because I'm not the most talented in the craft area either. True story. But this one? Seriously easy. 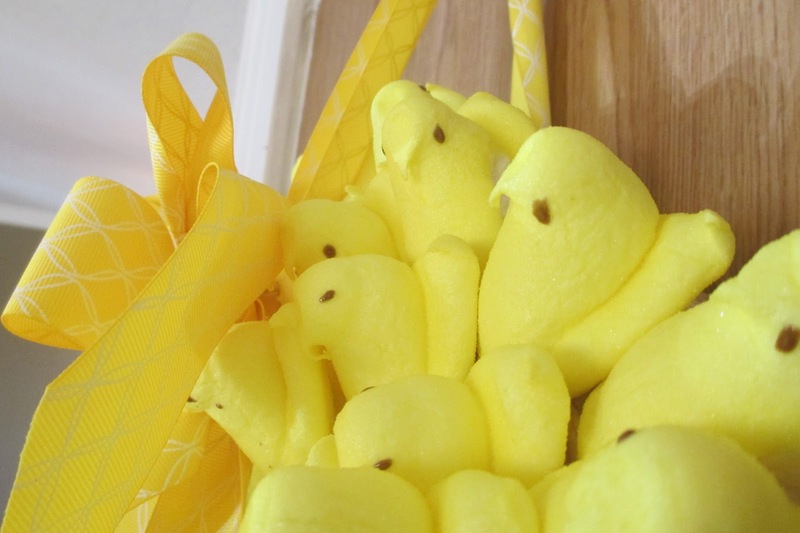 #2 - buy lots of Peeps. I chose to go with all yellow, but you can go with whatever colors you like. #8 - spray the crap out of the wreath with the sealant. I recommend spraying it completely. Letting it dry, then going at it again. Seriously, you want this thing like Fort Knox. Why? Because bugs like to eat Peeps too. Sealing it prevents the food product from decay and from buggies realizing there's yummy food hanging on your wall. and that is seriously it folks. Oh, I could fluff it out, use more words, and make it sound more complicated, but it's really not. I didn't put amounts of supplies on there for two reasons. - I totally forgot to pay attention & write down how much I got of each thing. 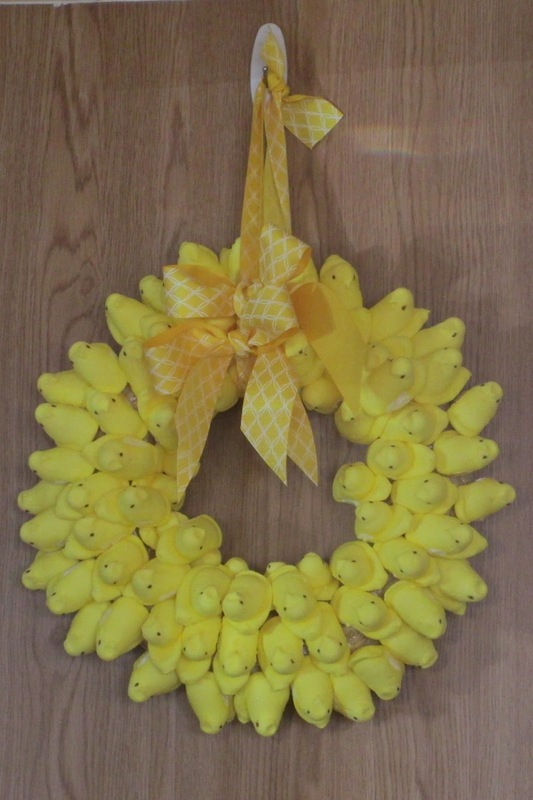 My really-bad-you-totally-shouldn't-trust-it-memory says that you need a 6" wreath, 18 boxes of Peeps, and 12' of ribbon. But seriously, don't hold me to that. All that being said, isn't it cute? That is totally cute! You did a good job! I'd need extra boxes to have some to eat while making it, or I'd eat up all my inventory, lol.